1. You don’t have to spend time thinking about what shoes to wear. 2. You can go straight from the water to your destination. Guys, if you’re that way inclined, they might work for you as well. No discrimination here. 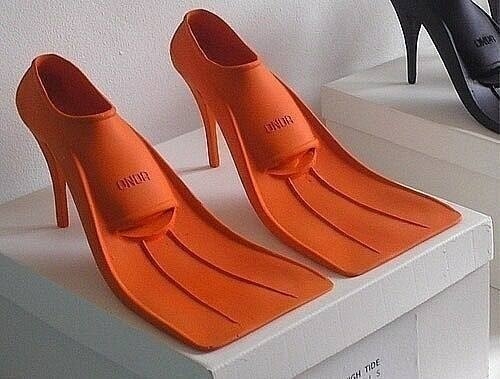 I might consider these for our wedding…. Such a great design. I would like to have one 🙂 thank you for sharing. OMG I have such a hard time walking in regular high heels I’d probably break my neck!